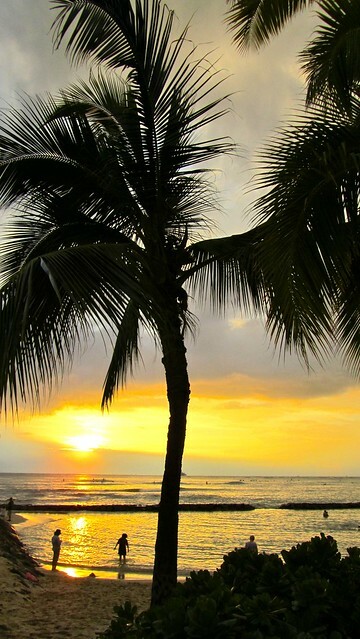 There's really no denying it — Hawaii has some pretty fantastically beautiful beaches. Whether it's white sand, black sand, pink sand, or no sand at all that you're craving, Hawaii probably has a beach for you somewhere. During my week in Hawaii, I visited at least one beach every day. Sometimes multiple beaches in one day. But, I guess when a state is made up of islands that boast gorgeous coastlines, generally it means that there are a lot of nice beaches to look at and visit. I only had the chance to explore the island of Oahu on this trip. 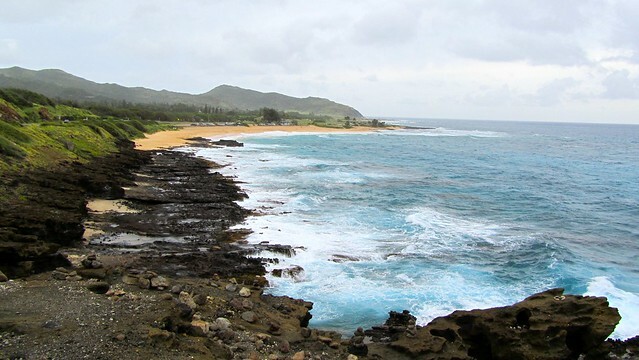 But Oahu certainly isn't lacking when it comes to picture-perfect beaches. Whether it's the crowded yet full-of-character Waikiki Beach in Honolulu, or the more remote surf beaches of North Shore, there's a beach for all tastes and interests — and most of them public, too. 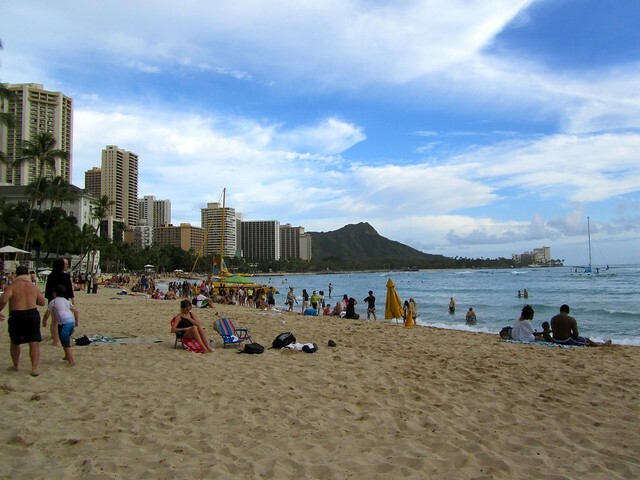 Perhaps Hawaii's most famous beach, Waikiki Beach is located in between the Punchbowl and Diamond Head, and features an abundance of hotels and resorts on its shore. The beach itself is made up of a fine, white, powdery sand, and is usually full of people — mostly tourists — on any given sunny afternoon. You can rent everything from beach chairs to surf boards here, and many sunset and sailboat cruises leave from Waikiki. Half the beach is reserved for surfers, and Waikiki's long, rolling waves are ideal for beginner surfers and bodyboarders. Located at the base of (you guessed it) Diamond Head crater, Diamond Head Beach is pretty, yet also pretty dangerous. 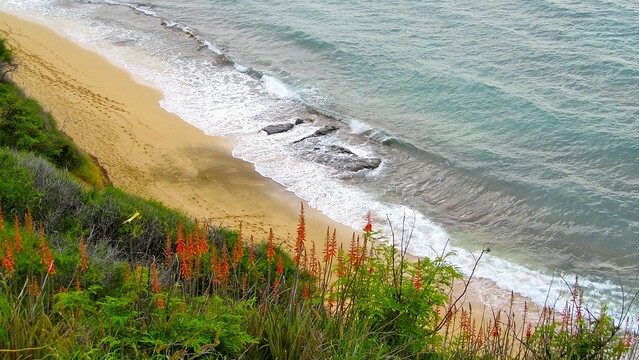 It's popular with surfers, but you have to be careful that you aren't dashed upon the rocks or bashed into the cliffs. 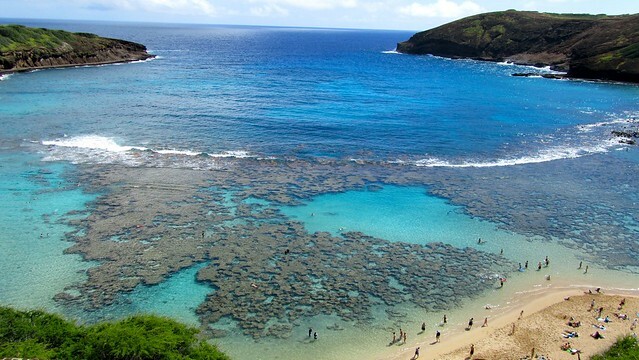 The popular snorkeling beach at Hanauma Bay is one of Oahu's most popular tourist attractions. And, just simply looking out over the bay from the car park lookout, it's easy to understand why. The horseshoe-shaped bay was formed long ago by a volcanic explosion. These days, a coral reef thrives close to shore in shallow waters, making it ideal for snorkeling with everything from tropical fish to green sea turtles. The bay is actually designated a nature preserve, and so requires an entrance fee and a strict adherence to rules (such as not harassing or feeding the marine life). But it's definitely worth a visit. The Halona Blowhole is a rock formation which can turn into somewhat of a mini geyser when the seas are rough and the wind is blowing. The rocks have formed into a curved chute of sorts, and, when water is forced into the chute, it is forced up out of the “blowhole,” much like water is forced out of a whale's blowhole when it surfaces for air. 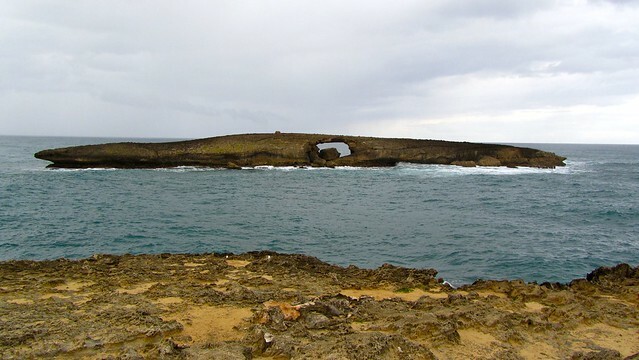 To the right of the blowhole is a spot called Eternity Bay, or Halona Cove. Close to shore, it seemed quite calm, and people were taking scuba lessons in it when I was there. We decided to visit , and get some sucba gear and went, further out to the blue-green water crashed spectacularly onto cliffs and sharp rocks. Nearby the blowhole lies Sandy Beach. It sounds nice and relaxing, but it's actually a pretty dangerous spot. Here at Sandy Beach, the waves break very close to or right on the shore. This makes it very popular with bodyboarders (it's President Obama's favorite bodyboarding beach), but also means there can be some mean rip currents. 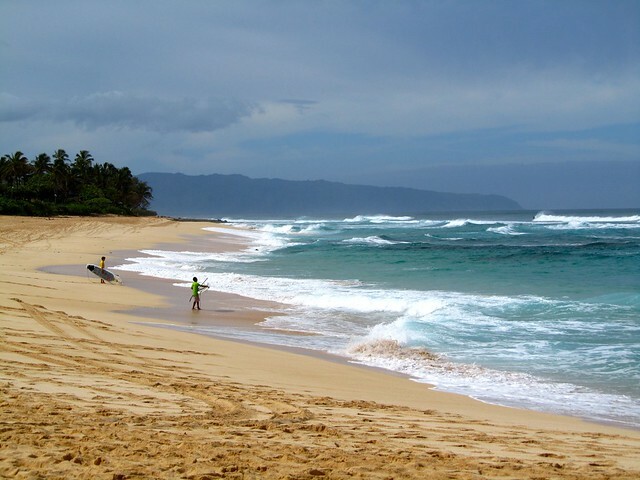 More people are injured each year at Sandy Beach than at any other beach in Hawaii. 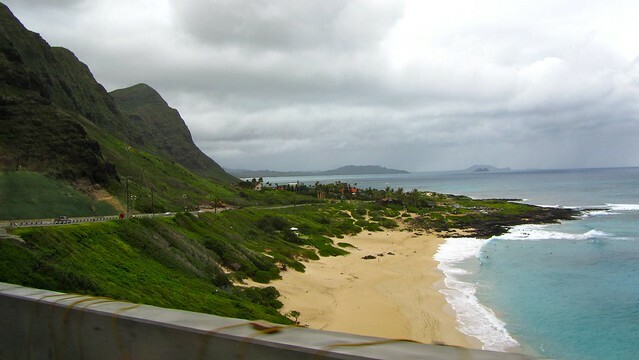 Driving along Oahu's east coast. If you drive along Oahu's coast near the city of Kaneohe, you'll be greeted by beach park after beach park — seemingly around every corner. The coast is stunning, with mountains on one side, and the Pacific Ocean on the other. Not exactly a beach, perse, but Laie Point still warrants a stop if you're headed up to North Shore. From here, you can see a lot of the coast, as well as a cool hole-in-the-rock formation not far off shore. 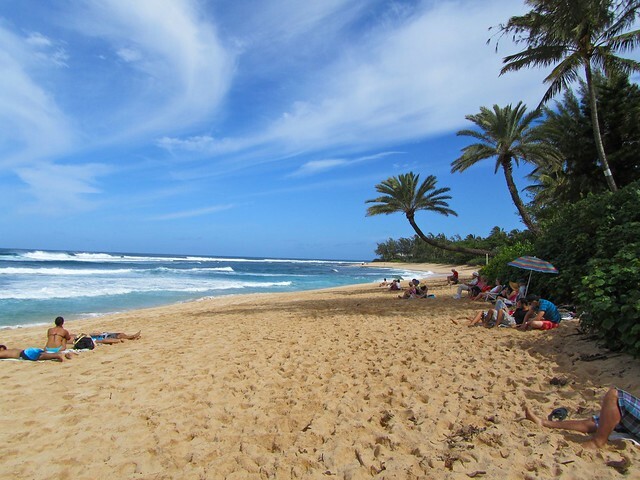 Perhaps one of Oahu's most popular surf beaches, Sunset Beach boasts kool-aid-blue water, curved palm trees, rich tan-colored sand, and some huge waves during the winter months. Really, what's not to love? I missed the truly big waves that North Shore sees in December and January (when the big surf competitions are held), but Sunset Beach still put on quite a show for me in February. On my second (and sunnier) visit to this beach, a paddle-board surfing competition was in full swing. The surfer on the right is about to take a tumble. But, a word of warning — the pounding surf may look and sound cool, but, if you don't know what you're doing, don't get near the water! 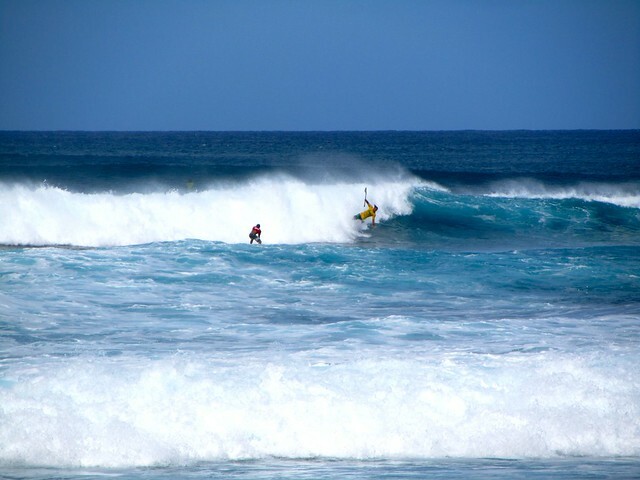 Another important beach when it comes to surfing is Waimea Bay. Waimea Beach plays host to some huge waves, too, and is home to the Quiksilver Big Wave Invitational. The contest has only been held 7 times in the past 20 or so years, however, because one condition is that the waves must be more than 20 feet high. 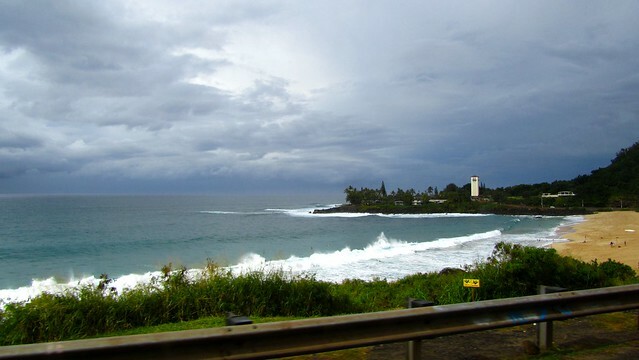 The most recent one was held in December 2009, when swells of 30-50 feet pounded Waimea… yikes! 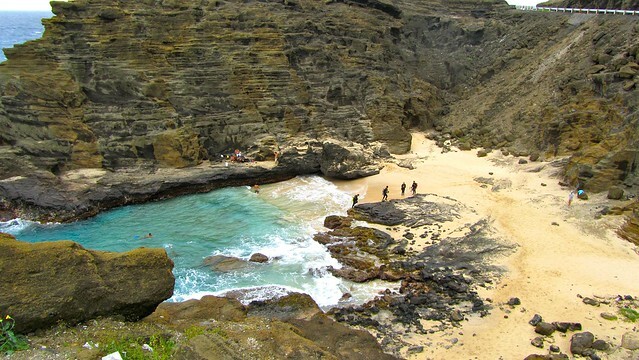 In the calmer summer months, Waimea is popular with swimmers and those brave enough to go cliff jumping off Jump Rock. And, Waimea gets extra points for starring in the TV show “Lost” as the beach where Oceanic Flight 815 crashed on an unknown island. I didn't actually spend much time at all at Laniakea Beach, which is a pity, because it was beautiful. But I was there long enough to get up close and personal with a green sea turtle (or honu). Laniakea Beach is said to be great for turtle sightings, with at least one or two coming ashore daily amidst the tourists and surfers. Because of this, it's often referred to as “Turtle Beach.” So, if you really want to see/swim/snorkel with honu, this is the spot to go! This, of course, is by no means an all-inclusive list. 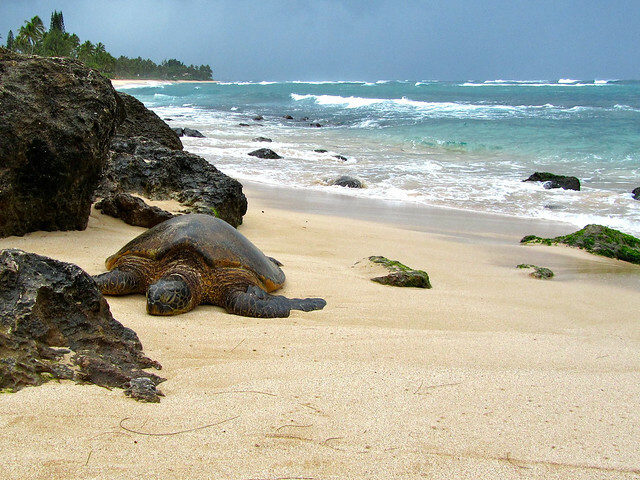 Hawaii is littered with amazing beaches — some popular and others hidden gems. Each one has its own unique features, though, so it's worth visiting as many as possible. Have you been to Oahu? If so, which was your favorite beach that you visited? Thanks, Lorna! Hawaii was just beautiful. 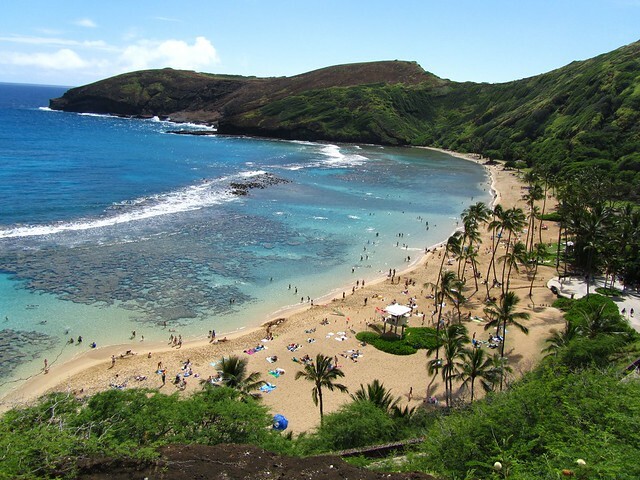 And Hanauma Bay was awesome for snorkeling – I’ll have a post about it sometime next week! There were all sorts of colorful fish everywhere you turned! How beautiful pictures… and what a big turtle! Thank you! And yes, the turtle was massive! The water was very nice, especially for “winter.” It was about 72 degrees F, I think. A little chilly at first, but lovely once you got used to it. Thanks, Phil! Hawaii made it so easy to take gorgeous shots. I can see why Sunset Beach would be so popular although Eternity Bay looks very cool too. Eternity Bay was really pretty. If I’d had more time, I would have loved to climb down to it, but the going was pretty steep! The beaches on the North Shore were all just perfect, though. Ahhh I miss the beach! I have been in the Amazon jungle for too long, you are inspiring me to change my next destination! The Amazon, wow! A far cry from the beach, for sure! I live in Ohio, where there certainly aren’t any beaches like these. So it was a very welcome change of scenery! Hawaii’s beaches are absolutely beautiful. I would love to travel there some day! If you ever have the chance, I definitely recommend it! Hawaii is just unbelievably beautiful! I love all of those photos… it’s really making me want to max out my credit cards and just GO!!! Haha, well, I wouldn’t want you to max out your credit cards… but I do highly recommend Hawaii! And I actually was able to do my whole week-long trip for under $1,000 – flights included! Hawaii looks fantastic. I love these pictures, especially the last one, love turtles. That turtle is certainly turning out to be quite popular! I posted him on Facebook the other day, and it seems like you definitely aren’t alone in your love of turtles!! Man this is painful to read when we’re expecting another 30 cm of snow this week. Agh. Ew, bummer! I’m so tired of snow… and I’m guessing you probably are, too! Hopefully this didn’t make you pine too too much for sunshine and beaches… Though, weren’t you just in Mexico? Great piece, when I saw the video I thought to myself I wonder if she has used Israel “IZ” Kamakawiwoʻole ‘Somewhere over the Rainbow’ – great song, captures the beauty of Hawaii. Thanks, Mike! And yes, I love that song. I actually first heard it in high school, and it always puts a smile on my face. It was playing EVERYWHERE in Hawaii, though, so I knew I was going to have to use it in at least one of my Hawaii videos. And this one seemed perfect! They are indeed amazing! I highly recommend hitting up as many as possible. Ahhh! These beaches are SO nice! I’m so jealous! And that turtle is HUGE! It’s tough to find a beach in Hawaii that ISN’T nice!! These photos are gorgeous! I’m always drawn to the beach (probably like most people, lol) even though I burn like the dickens. The one time I was in Hawaii I sunburnt the tops of my feet and hands so badly that I was walking around with bags of frozen peas just to numb the pain! If only I could be a beach bum…. but it isn’t in the cards for me, sadly. Oh no! That burn sounds painful. The sun in Hawaii will do that to you, and quick! I also burn easily – my face and chest were all red after just a couple of hours at Pearl Harbor. But, luckily, on the days I was actually spending time at the beach, it was slightly overcast, which meant no painful burns! Thanks for reading, and I’m so glad you liked the photos so much! Hawaii definitely lives up to all the hype. Beautiful photos…. I definitely wasn’t disappointed! Hawaii did hold some surprises, but they were mostly good ones. And the beaches were everything I could hope for, and more. Beautiful pictures, had to look up all those beaches on a map, I am such a nerd:-). You hit some awesome ones! I have great memories of Bellows Beach, but they don’t allow the public in anymore because you have to go through an army base to get there. And I love Kaaawa too! The mountains, that name, LOVE! Haha, you’re not a nerd! I actually considered drawing up a map to show where all these beaches were, but I didn’t have enough time, or access to photoshop. And I’m planning a post about the Kualoa Ranch, which owns Ka’a’awa Valley — a very cool place! If I didn’t want to go to Hawaii before… I do now! Brilliant photos, I’m craving a goregous beach,we’ve been in S.E Asia for 6 months and have only visited one! Only one beach in SE Asia?? Shouldn’t you like, be punished for that or something? Haha. Totally kidding! Maybe you should tack Hawaii onto your trip! Not exactly Asia… but there’s a lot of Asian influence there, does that count? Great photos! It’s really cool to see such a variety of different kinds of beaches on one island. Thanks, Jo! And yes, there are all kinda of beaches in Hawaii. Mostly because it has so much coastline! So amazing! This post just reminds me even more that I need to GET BACK to living near a beach! I have never lived close to a beach, but I think I would love to some day! 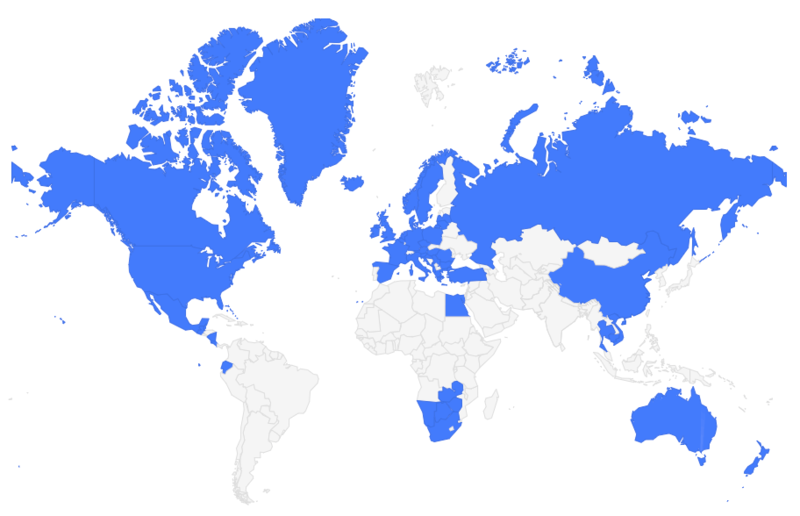 I have been to most of those beaches listed here when I worked on the cruise ship there. I also love the beaches in Kona and in Lahaina. The beach below Diamond Head is amazing! I imagine it would be pretty awesome working on a cruise ship in Hawaii. (Or, at least, the scenery would be awesome!) I can’t wait to go back to Hawaii sometime to see more of its gorgeous beaches! Awesome blog idea! Reading about all these beaches makes me miss Hawaii pretty bad. I’d also mention Mokuleia and Kanea Point. I’m a big fan of these because there aren’t so many people! Thanks again for the post. 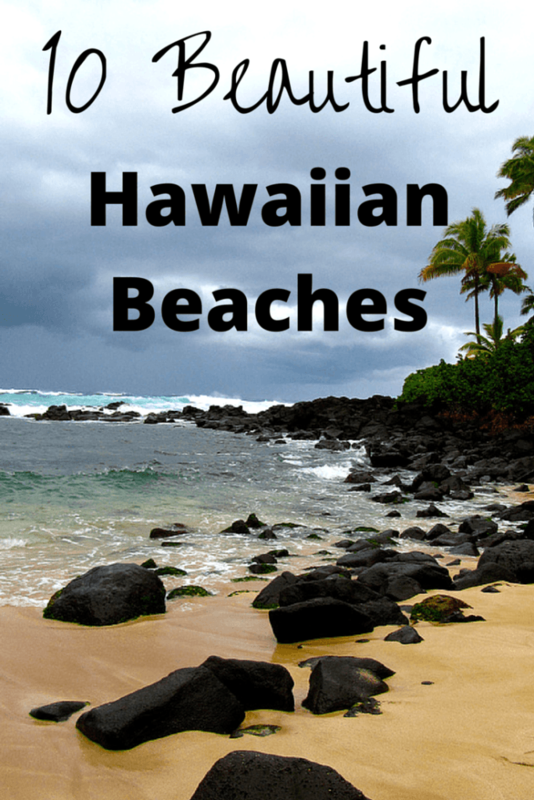 Oahu has so many great beaches, that it’s hard to really pick “the best.” Thanks for the extra suggestions! I lived on Oahu for about 2 years when my husband was stationed there. Amazing! I want to go back so bad to visit. I can only imagine the changes from 40 years ago but I’m sure the beauty of Hawaii will never change. You’re right – I don’t think the beauty of the island will ever really go away!